Powerflex Black Rear Lower Wishbone Inner Bushes for: Ferrari 355 (1994-1999). Bushes are one of the most highly stressed components fitted to a car. They undergo enormous strain, in the most arduous of conditions with no maintenance or lubrication. Part Number: 209166 Supercedes 194800. Ferrari F430 Scuderia, 16M - All Models. Assembly-number 8798, 1989 bis ca. Unlike old technology Poly bushes any increase in vibration / harshness felt through the vehicle is normally undetectable. Powerflex Front Upper and Lower Wishbone Inner Bushes for: Ferrari 355 (94-1999). Which Type Of Powerflex Bushes Do You Require?. Before you order these brilliant Powerflex bushes just ask yourself what you want them to achieve?. Unlike old technology Poly bushes any increase in vibration / harshness felt through the vehicle is normally undetectable. Part Number: 196385. Ferrari 599 - All Models. Ferrari 612 - All Models. POWERFLEX REAR Wishbone-Lower, inner Bushes (QTY PER CAR 4) TO FIT Ferrari 355 94-99. However that is not the whole story. When you consider the cost of fitting new bushes and the fact that POWERFLEX will be the last bushes you every fit to your car things start to look a bit better. Ferrari fijación rodamiento de espita. Ferrari 360modena (CD 2000). Ferrari 360modena (CD 2001). Ferrari 360Spider. Ferrari F430 Coupè. Ferrari F430 Spider. Ferrari F430challenge. Ferrari 360challenge 2000. 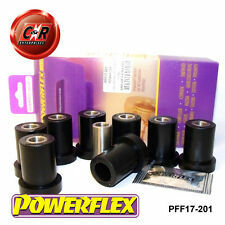 Powerflex Black Rear Upper Wishbone Outer Bushes for: Ferrari 355 (1994-1999). Bushes are one of the most highly stressed components fitted to a car. They undergo enormous strain, in the most arduous of conditions with no maintenance or lubrication. Powerflex Black Rear Lower Wishbone Outer Bushes for: Ferrari 355 (94-99). Bushes are one of the most highly stressed components fitted to a car. They undergo enormous strain, in the most arduous of conditions with no maintenance or lubrication. Powerflex Black Rear Lower Wishbone Bushes for: Ferrari 512TR (91-94). Bushes are one of the most highly stressed components fitted to a car. They undergo enormous strain, in the most arduous of conditions with no maintenance or lubrication. Powerflex Black Rear Upper Wishbone Bushes for: Ferrari 512TR (91-94). Bushes are one of the most highly stressed components fitted to a car. They undergo enormous strain, in the most arduous of conditions with no maintenance or lubrication. POWERFLEX REAR Wishbone-Lower, outer Bushes (QTY PER CAR 4) TO FIT Ferrari 355 94-99. However that is not the whole story. When you consider the cost of fitting new bushes and the fact that POWERFLEX will be the last bushes you every fit to your car things start to look a bit better. POWERFLEX REAR Wishbone-upper, outer Bushes (QTY PER CAR 4) TO FIT Ferrari 355 94-99. However that is not the whole story. When you consider the cost of fitting new bushes and the fact that POWERFLEX will be the last bushes you every fit to your car things start to look a bit better. 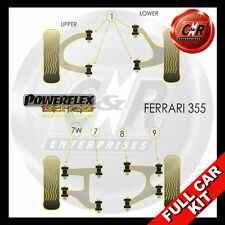 POWERFLEX FRONT Wishbone-upper, front/rear Bushes (QTY PER CAR 8) TO FIT Ferrari 355 94-99. However that is not the whole story. When you consider the cost of fitting new bushes and the fact that POWERFLEX will be the last bushes you every fit to your car things start to look a bit better. Ferrari Code No: 169326. X1 FRONT LOWER A ARM INNER BUSHING. 550 Barchetta. 550 Maranello. Unlike old technology Poly bushes any increase in vibration / harshness felt through the vehicle is normally undetectable. Powerflex Rear Lower Wishbone Outer Bushes for: Ferrari 355 (1994-1999). Bushes are one of the most highly stressed components fitted to a car. Unlike old technology Poly bushes any increase in vibration / harshness felt through the vehicle is normally undetectable. Diagram Ref 1: Rear Lower Wishbone Bush. PF17-110 (Quantity 8). Diagram Ref 2: Rear Upper Wishbone Bush. Powerflex Black Rear Upper Wishbone Inner Bushes for: Ferrari 355 (94-99). Bushes are one of the most highly stressed components fitted to a car. They undergo enormous strain, in the most arduous of conditions with no maintenance or lubrication. However that is not the whole story. When you consider the cost of fitting new bushes and the fact that POWERFLEX will be the last bushes you every fit to your car things start to look a bit better. FERRARI 355 N/S FRONT UPRIGHT / STEERING KNUCKLE. INCLUDING HUB AND BEARING, WITH ABS LEAD. ( UK N/S LEFT HAND SIDE ). POWERFLEX REAR Wishbone-upper, inner Bushes (QTY PER CAR 4) TO FIT Ferrari 355 94-99. However that is not the whole story. When you consider the cost of fitting new bushes and the fact that POWERFLEX will be the last bushes you every fit to your car things start to look a bit better. Unlike old technology Poly bushes any increase in vibration / harshness felt through the vehicle is normally undetectable. Diagram Ref 1: Front Upper and Lower Wishbone Inner Bush. PFF17-201 (Quantity 8). Part Number: SPF2164K. Genuine "SuperPro" Product. Bush Type: Rear Sway Bar Link Lower Bushing Kit. Race Spec Performance Ltd. Kit includes: 4 x Polyurethane Bushes / 2 x Steel Tubes. Failure to do so will void your warranty. ECROU DE MOYEU / Nut of hub - FERRARI - JOLI / Nice ! RARE ! Nut for wheel hub - RARE item for sale ! Good condition - Old item with wears of use ( Traces of shock, little lack of chromium). Je parle anglais. Weight. (Without box). - Poids :0,840 Kg (Sans boite). Hub Bearing Completo. ¿Puede la parte deseada o el trabajo deseado, para su Maserati, Ferrari, Lamborghini o Porsche no?. ¡No hay problema! ¿Usted no puede encontrar el trabajo correcto de la parte o mantenimiento para su Maserati, Ferrari Lamborghini o Porsche?. Unlike old technology Poly bushes any increase in vibration / harshness felt through the vehicle is normally undetectable. Bushes are one of the most highly stressed components fitted to a car. They undergo enormous strain, in the most arduous of conditions with no maintenance or lubrication. Unlike old technology Poly bushes any increase in vibration / harshness felt through the vehicle is normally undetectable. Powerflex Rear Upper Wishbone Outer Bushes for: Ferrari 355 (1994-1999). Bushes are one of the most highly stressed components fitted to a car. Powerflex Black Rear Upper Wishbone Bushes for: Ferrari 512TR. Bushes are one of the most highly stressed components fitted to a car. They undergo enormous strain, in the most arduous of conditions with no maintenance or lubrication. Powerflex Rear Lower Wishbone Bushes for: Ferrari 512TR. Unlike old technology Poly bushes any increase in vibration / harshness felt through the vehicle is normally undetectable. Bushes are one of the most highly stressed components fitted to a car. Ferrari Befestigungszapfen Lager. Passend für folgende Modelle Ferrari 360modena(CD 2000). Ferrari 360modena(CD 2001). Ferrari 360Spider. Ferrari F430 Coupè. Ferrari F430 Spider. Unlike old technology Poly bushes any increase in vibration / harshness felt through the vehicle is normally undetectable. Powerflex Rear Lower Wishbone Inner Bushes for: Ferrari 355 (1994-1999). Bushes are one of the most highly stressed components fitted to a car. FERRARI 208, 308, 328, MONDIAL, F40, TESTAROSSA, 412 Front Wheel Bearing New OEM Ref. FERRARI FRONT WHEEL BEARING NEW. Powerflex Black Front Upper and Lower Wishbone Inner Bushes for: Ferrari 355 (1994-1999). Bushes are one of the most highly stressed components fitted to a car. They undergo enormous strain, in the most arduous of conditions with no maintenance or lubrication. Unlike old technology Poly bushes any increase in vibration / harshness felt through the vehicle is normally undetectable. Powerflex Rear Upper Wishbone Inner Bushes for: Ferrari 355 (1994-1999). Bushes are one of the most highly stressed components fitted to a car. Ferrari 599 GTB,GTBS 612 Scaglietti,Sessanta. P/N 197232. HUB BEARING FOR WHEEL. Conditions for accepting an item. before you take it and before you sign for it. Once we receive the item in our office we will. Achsschenkel Radnabe Radträger vorne rechts. Nabe ist Original und gebraucht. Gebrauchsspuren sind kein Grund für eine Reklamation. Sie sollten sich vor dem Kauf bewusst sein, das Sie hier einen gebrauchten Gegenstand mit Gebrauchsspuren erwerben möchten. Steering Knuckle LH rear complete. 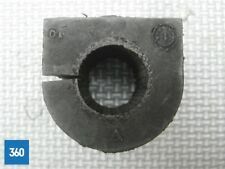 Produktgruppe Achsschenkel Radnabe hinten Steering Knuckle. Produkttyp Achsschenkel Radnabe links Steering Knuckle. Original Ferrari 512 TR Achsschenkel Radnabe hinten links komplett. Trasero Hub Bearing Completo. ¿Puede la parte deseada o el trabajo deseado, para su Maserati, Ferrari, Lamborghini o Porsche no?. ¡No hay problema! ¿Usted no puede encontrar el trabajo correcto de la parte o mantenimiento para su Maserati, Ferrari Lamborghini o Porsche?. Steering Knuckle RH Stub Axle complete. Produktgruppe Achsschenkel Radnabe vorne rechts Steering Knuckle. 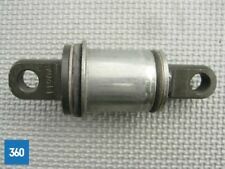 Produkttyp Achsschenkel Radnabe Stub Axle Steering Knuckle. Original Ferrari 512 TR / 512 M Achsschenkel Radnabe vorne rechts komplett.